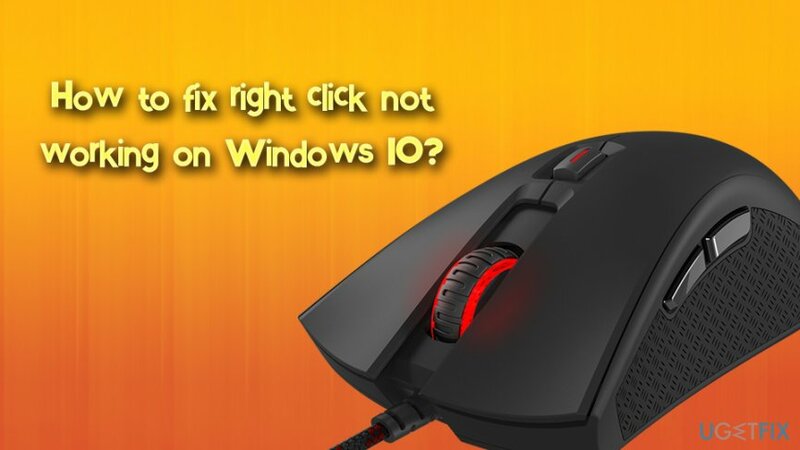 Home »	Fix » How to fix right click not working on Windows 10? Issue: How to fix right click not working on Windows 10? Hi guys, I have recently encountered a problem with my mouse, and I hope you will be able to help me fix it. Whenever I right-click on anything, the context menu does not appear. Although I can still use my Windows 10 computer, it is still extremely uncomfortable and takes me longer to get to places. Is there a solution for this annoying issue? Thanks in advance. Although the right click not working is a fairly common issue, it can be easy to fix, as well as might require some advanced actions. It highly depends on the cause of the problem – it could be incompatible or outdated drivers, corrupt system files or incorrectly installed third-party software. It is worth mentioning that the error has different variants. 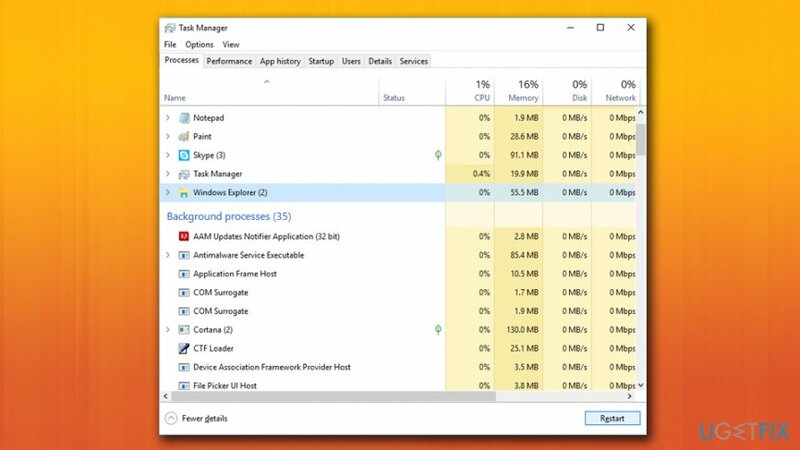 Some users reported that the normal function of mouse's right click is impaired only while using certain apps (Microsoft office tools or certain browsers), while others stated that their mouse cannot ever call up the context menu. As it is obvious, right click not working issue can significantly diminish your computer usage experience. Nevertheless, we are here to help you – the Ugetfx team prepared an array of solutions which can fix right click not working issue. We will start with the most simple solutions, like disabling tablet mode or checking if the hardware is working correctly. If the first few methods do not work, proceed with more advanced solutions (tip: be attentive when tampering with system files, follow each step carefully as explained below). If you encounter error messages and certain hardware does not work properly, it could also be a sign of malware infection. This malicious software is designed to cause hard to the targeted machine, either by corrupting system files or by stealing sensitive data of the user, which can then be used for illegal purposes, such as identity theft or money harvesting directly the bank account. Thus, before you do anything, scan your computer using reputable security software. We recommend using Reimage. This software is not only capable of detecting and killing malware, but also of fixing various Windows errors. 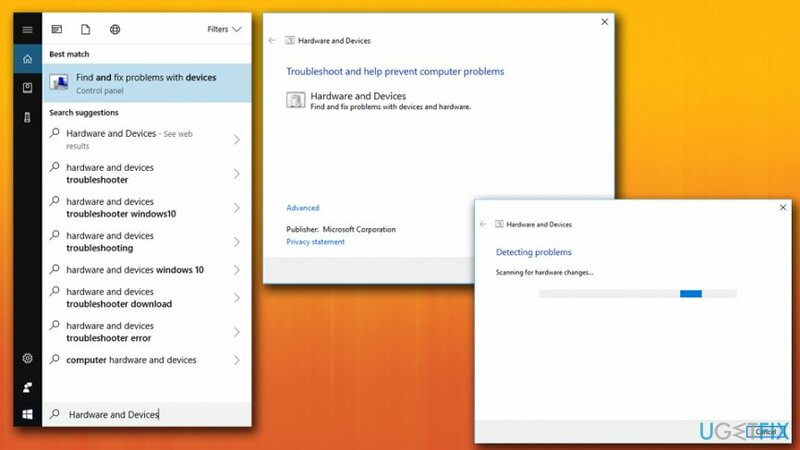 If it did not fix right click not working on Windows 10 issue, proceed with the fixes below. Updating drivers may be a daunting task, especially when there are so many devices to update. 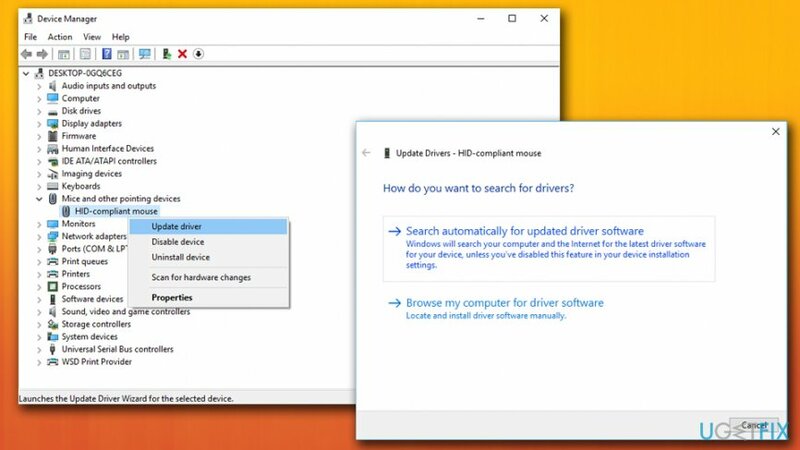 That is why we recommend using Smart Driver Updater – this tool can automatically detect, download and install drivers effortlessly. ^ Cale Hunt. 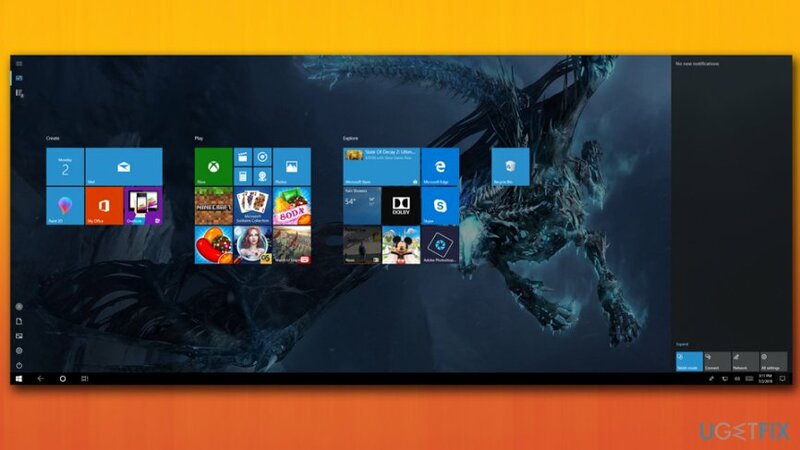 What is tablet mode in Windows 10?. Windows Central. Tech site.